Dr. Pino Martin, Associate Professor of Aerospace Engineering, has been elected to the grade of Associate Fellow in the American Institute of Aeronautics and Astronautics. This grade is awarded to AIAA members who have demonstrated a successful practice in the arts, sciences, or technology of aeronautics. Prof. Martin will be honored at the AIAA Foundation Associate Fellows Dinner in conjunction with the 49th AIAA Aerospace Sciences Meeting and Exhibit, where she will be presented with her Associate Fellow pin and certificate. The dinner will be held on Tuesday, January 4, 2011 in Orlando, Florida. Prof. Mart�n joined the Dept. of Aerospace Engineering at the University of Maryland as an Associate Professor in 2009. Prof. Martin is also affiliated faculty of the University of Maryland Institute for Computer Studies (UMIAC), which hosts the Cluster for Research in Complex Computations (CRoCCo) Laboratory that she founded in 2001. CRoCCo houses more than 100 Terabytes of detailed and validated numerical simulation data of turbulent flows. Her research interests include interdisciplinary approaches for the query and control of turbulent flow using joined theoretical, numerical and experimental studies. Dr. Martin holds a B.A. from Boston University (1994) and a Ph.D. in Aerospace Engineering (1999) from the University of Minnesota. Prior to joining the University of Maryland, Prof. Martin was an Assistant Professor in the Mechanical and Aerospace Engineering Department at Princeton University (2001-2009) and a Postdoctoral Research Fellow at the Center for Turbulence Research at Stanford University (2001) and the University of Minnesota (2000). 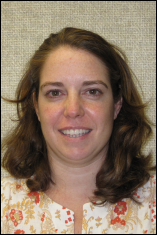 Prof. Martin is a recipient of the NSF CAREER Award (2003) and the Alfred Rheinstein?11 Princeton University Faculty Award (2007) for ?excellence in her chosen research field. ?